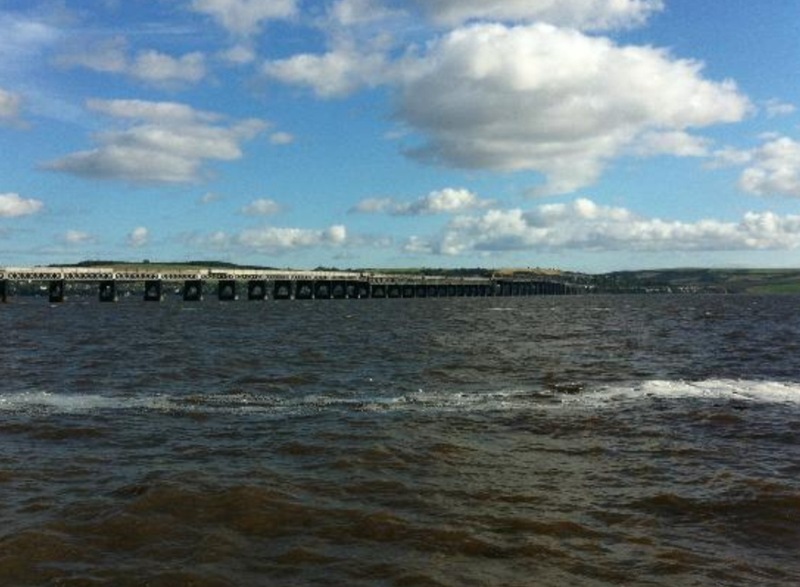 In 2010 I moved to Dundee for a year for work. I absolutely loved living and working there, but I didn’t really bother exploring. I always travelled home at weekends for meals, nights out, adventures, etc and I quite regret not trying more places while it was on my doorstep! 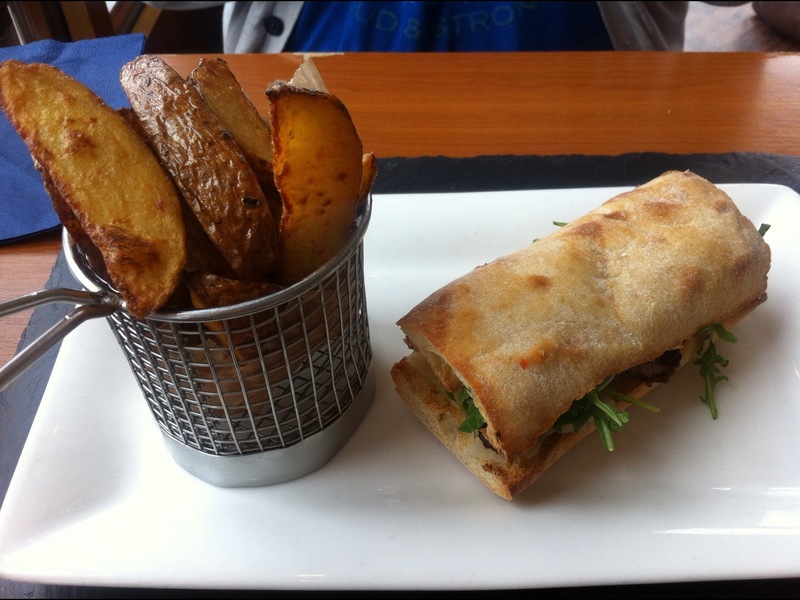 One place I did try was the Bridgeview Station restaurant. The restaurant is pretty inconspicuous on Riverside Drive as you head into the city centre – most people that I’ve spoken to have difficulty placing it, despite knowing the road! 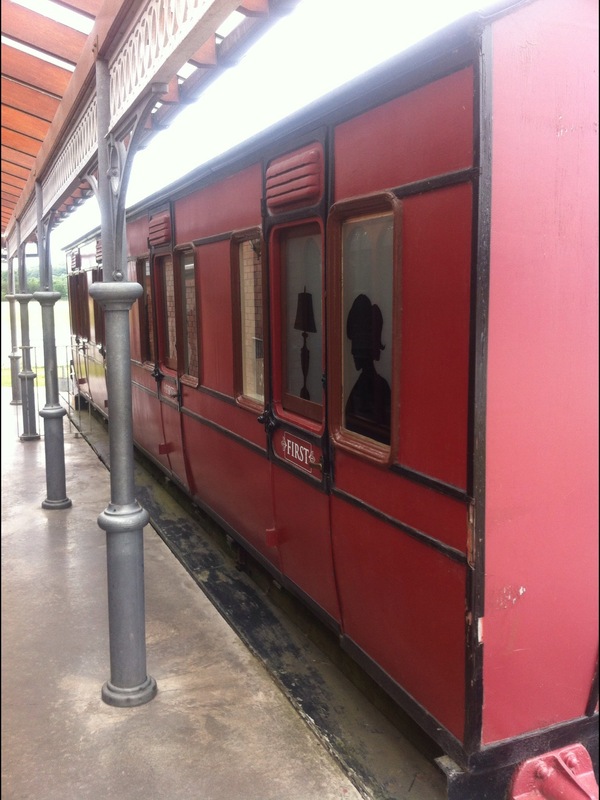 9/10 people will suddenly click when I say “They have an old train carriage outside!” The train carriage used to actually be in use and isn’t just a prop – the landmark feature is home to their takeaway service as well as being their landmark feature. 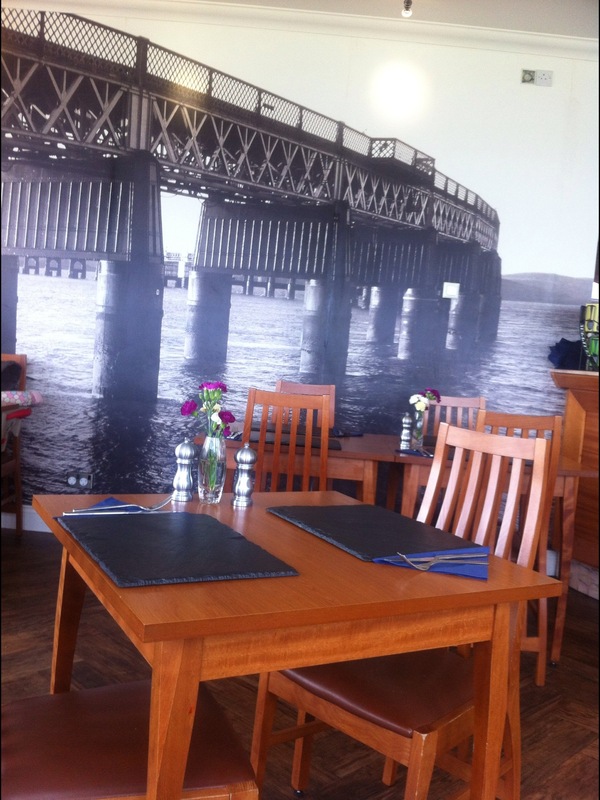 The restaurant has a great view over the River Tay and the rail bridge. I have taken this image from a google search to show the view from the window – it was a rotten day when I went in and although the view was still nice, the photo isn’t so much! Inside, the restaurant is immediately inviting. The front end of the restaurant is covered with windows, allowing the sunlight to stream in all day. The tables are simply set with fresh flowers and slate placemats – the entire restaurant is casual and informal, yet the food is just so clever and thoughtful – it is the type of food that you’d expect in a high end restaurant. 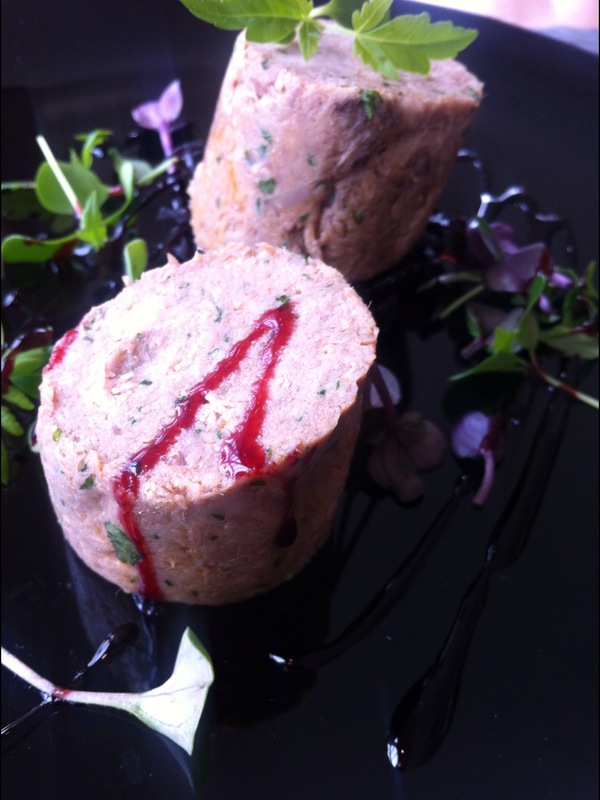 I had eaten here several times before starting House of Herby and let me tell you, their food is exceptional. This was fabulous. 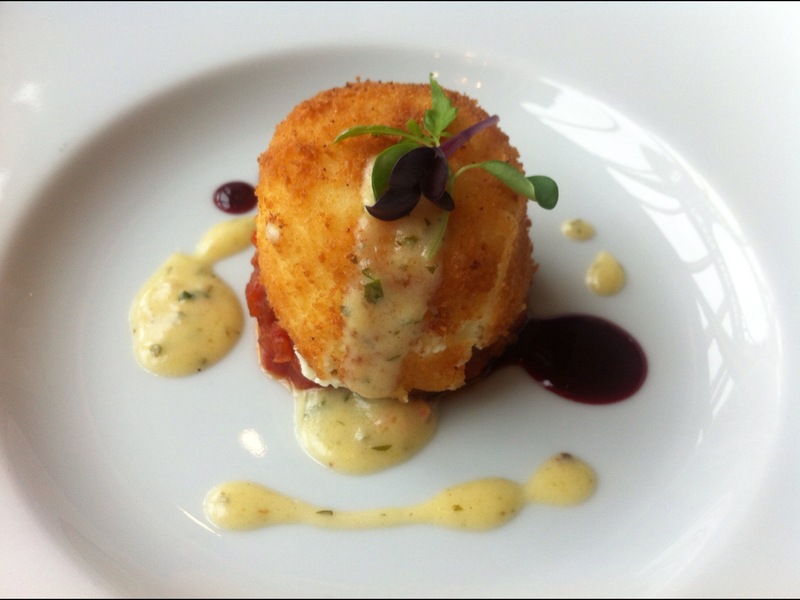 A healthy chunk of goats cheese in a crispy breadcrumb coating, drizzled with chive butter and placed atop some spicy ratatouille. The creamy yet tangy cheese mixed with the tangy ratatouille was so delicious, but the mellow chive butter just gave it an extra kick of savoury goodness. It was so well put together and the flavours blended perfectly. I really enjoyed this – however I felt that something was missing – some crunchy toast perhaps? An extra texture. The duck was really juicy and tender – absolutely beautiful – and the cabbage and balsamic sauce were a fantastic accompaniment. Because there wasn’t much to this dish, I got a little bored (!) eating it, despite it being beautiful and me clearing the plate. It was beautiful and well made, but definitely needed something extra. This is the single most delicious and posh cheesesteak I’ve ever tried. It was absolutely gorgeous – I’m going to try making my own. A normal baguette is switched for a crisp, toasted ciabatta and coated with herb mayo, which is in fact thyme infused mayonnaise. 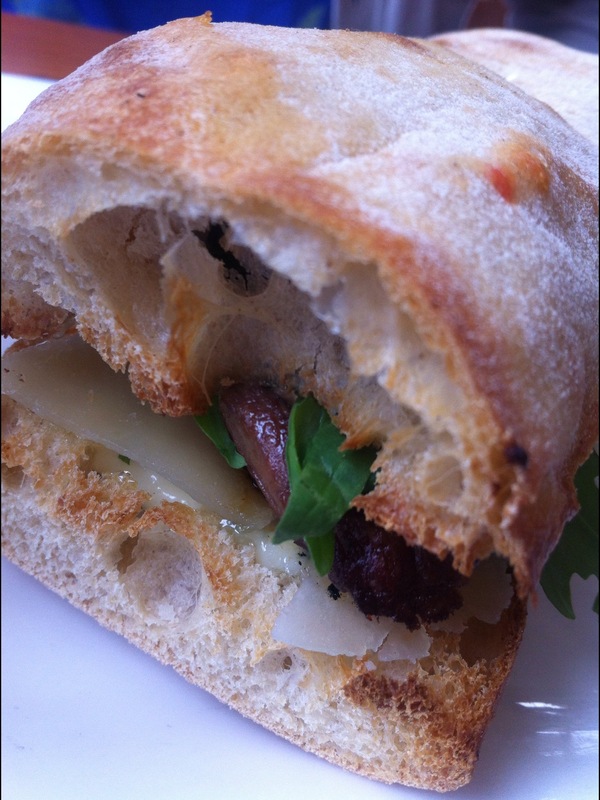 I wish I could put into words how sinfully tasty thyme mayonnaise is! 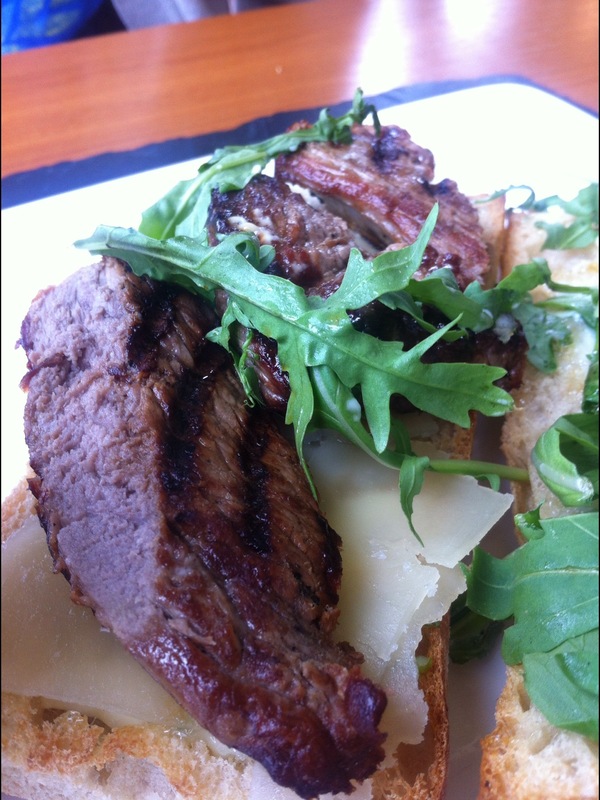 Add some shavings of Parmesan, rocket and juicy strips of steak. Heaven! As a child Lemon Sole was a weekly highlight. My parents made it regularly and I think that’s where my love of fish started! When I saw it on the menu, I couldn’t resist a stroll down memory lane. The beauty that was placed in front of me absolutely blew my mind. I pilfered some chunky chips and actually returned them to my boyfriend (absolutely unheard of) as they took away from the taste of this dish. The parsnip purée was so well flavoured and gave a warm, deep flavour to the mild and sweet fish. I love samphire. 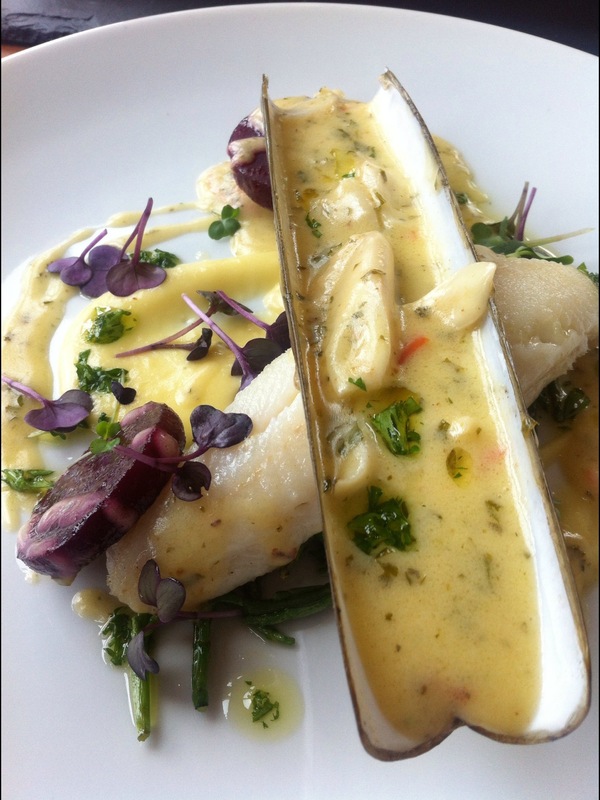 Sweet asparagus of the sea! The beetroot gave another nice sweet taste and the whole thing just worked perfectly! Razor clams have the same texture as calamari and can be tricky, but this was chewy but tender. The entire dish was a dream. There is a selection of home baking as well as desserts in offer. I’ve never felt compelled to try the home baking as the desserts are fantastic. Years ago I tried one of their deconstructed desserts and I was absolutely blown away. Today I tried the assorted lemon treats. 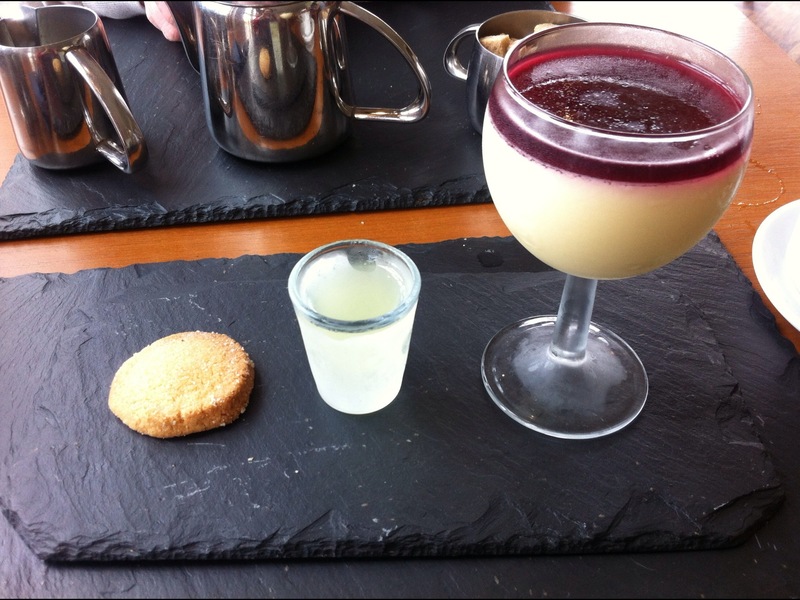 What a perfect finish to the meal – I thoroughly enjoyed my dessert, although the lemon posset was too much for me to handle! Beautiful lemon potted cream with a raspberry jelly topping. I am a total cheerleader for Bridgeview – it’s so understated and modest, yet serves food so delicious that you would accept it and lay double for it in fancy restaurants elsewhere. 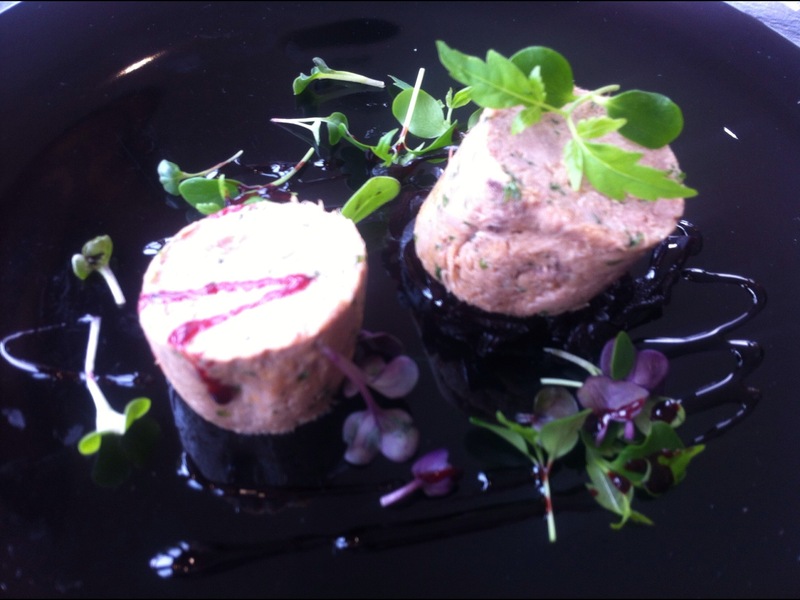 They use local and seasonal ingredients and change the menu fortnightly. I hope they never change – I’ll never stop coming back to Dundee to visit them and see what new concoctions they’re offering! Thyme mayo is my new love! Oh my god this looks amazing! 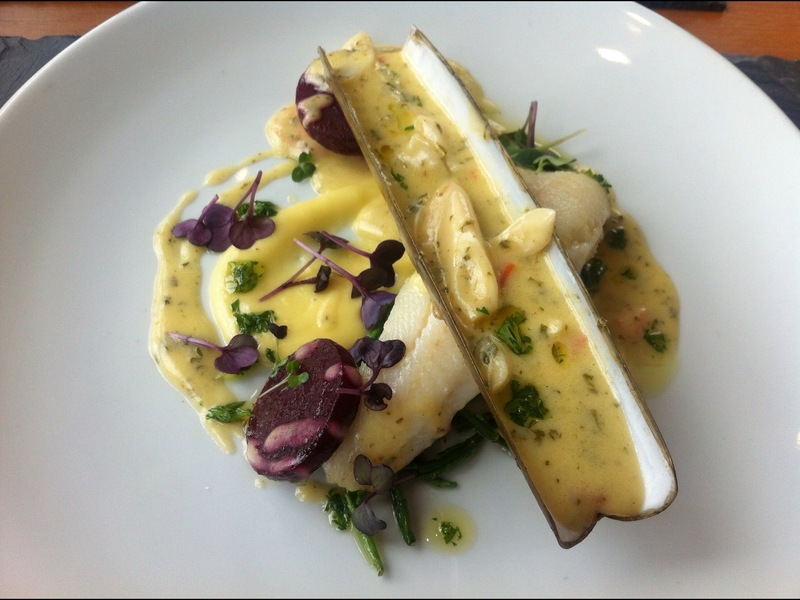 Goats cheese, steak, lemon sole – some of my absolute favourites. Wow! I’m now salivating over my keyboard. Everything looks so beautiful and delicious! It’s amazing and you’d never guess it from the restaurant, it’s totally unassuming! Haha aw I really hope so! The food is truly brilliant! Let me know how you get on! 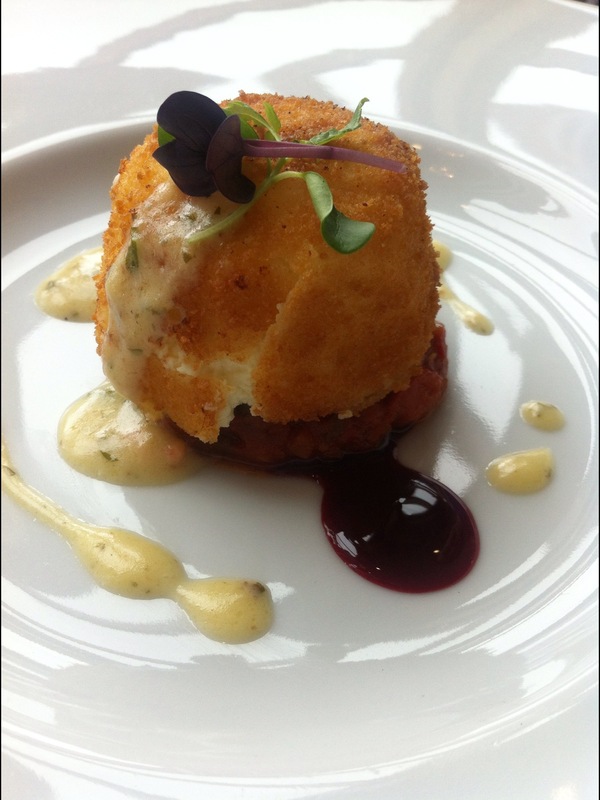 The goats cheese looks so tasty!